Like any other kitchen appliance, stove plays a vital role in almost every household. When it fails to operate,contact Appliance Repair Pasadena for a professional service. Our company is your best bet for stove repair Pasadena. 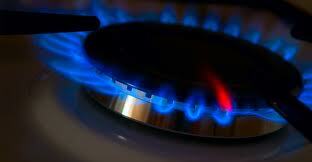 We are capable of repairing and servicing all types of stoves available out there. Whatever the issue is, you can rely on our skilled technicians.Our team provides affordable services throughout the Pasadena area in California. Our team will get to the root of the issue and get your appliance back to working.From a broken stove door gasket to faulty lights,we can handle it all in a single visit. We perform stove repair on both gas and electric models.Having a vast experience in the field, our technicians are aware of the specifics of your make and model. We have all necessary stove/range/oven replacement parts on hand, as well. Don’t hesitate to contact our experts for the stove services you can depend on. Our company specializes not only in the kitchen appliance repair. We are also experts in replacing and installing new stoves in the Pasadena, California area. When calling us for a stove installation, we’ll make the whole process as fast and smooth as possible.With our technicians, you can be sure that electric and gas connections are safe and secure. As we are professionals in stove services, you can count on the utmost result. Hiring our repair and installation specialists, you will be pleased with the high level of our services. Call us today for more information about Pasadena stove repair! We will gladly answer all of your appliance repairs related questions.